I’m sure many of the younger generation on the island are in the dark about the fact that in past years, there were, if not thriving, at least operating businesses, making use of local products. Yes, many many people had sawmills and some even operated as a going concern till recently at least, and I’m sure I’ll talk more about mills later. 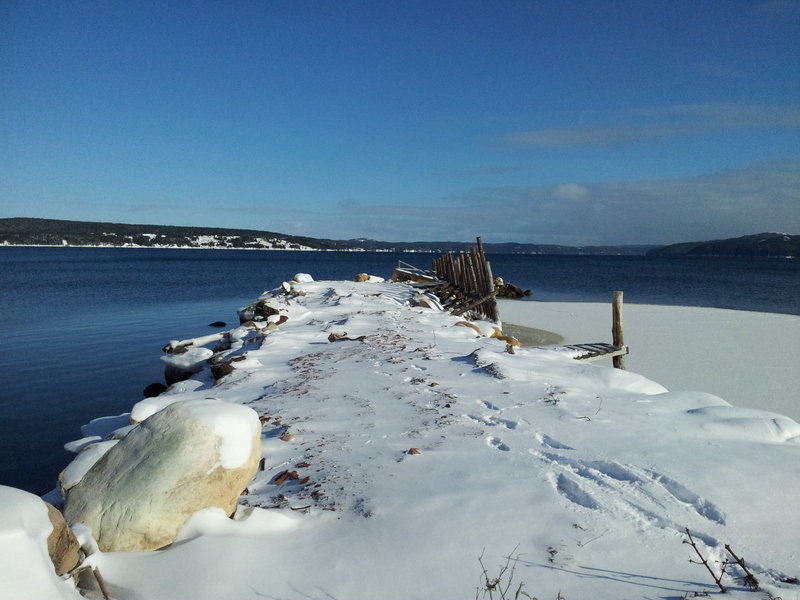 But back in the early 1900’s up till the early 50’s there were for a time two brickyards on the island, one in Elliott’s Cove and one in Snook’s Harbour. I remember Dad telling me about his first job being at the brickyard, 10 cents an hour for 10 hour days. Back in those days the owner was as much your bank as your employer too, Dad also told me the story of wanting a bike, so rather than actually buying it, his boss Uncle At Smith got it for him out of his wages. The brickyard supplied brick for all the locals, I know our well was lined with brick from Snook’s Harbour, and our chimney was made from it as well. Looking closely at the picture you can see shards of brick amongst the snow on the shore (yes I know its hard not to look at the view, see how tough we had it scenery wise?). 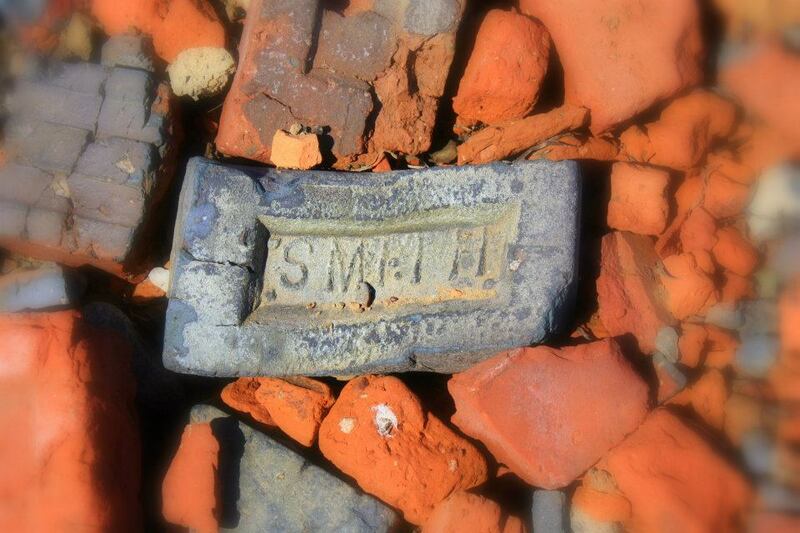 When I was younger it was easy to find full bricks, maybe slightly imperfect scattered on the shore with the Smith name stamped in them. I had one as a kind of souvenir in our house back home, wish I had thought to keep it now, those keepsakes mean more as you get older I find. There were also remnants of equipment to be seen. I’m sure more of this has washed away or grown over over the years. The Snook’s Harbour brickyard area was also home to some people, I’m not sure it it ever had a name as a community, but there is a small graveyard near there. I’m sure someone reading can give me more details (and I’ll try to look them up later). I’ll update this if I ever get info. Elliott’s Cove brickyard too had remnants, but were harder to find as that yard closed much earlier. I’m sure its still worth a visit to the curious or nostalgic though. 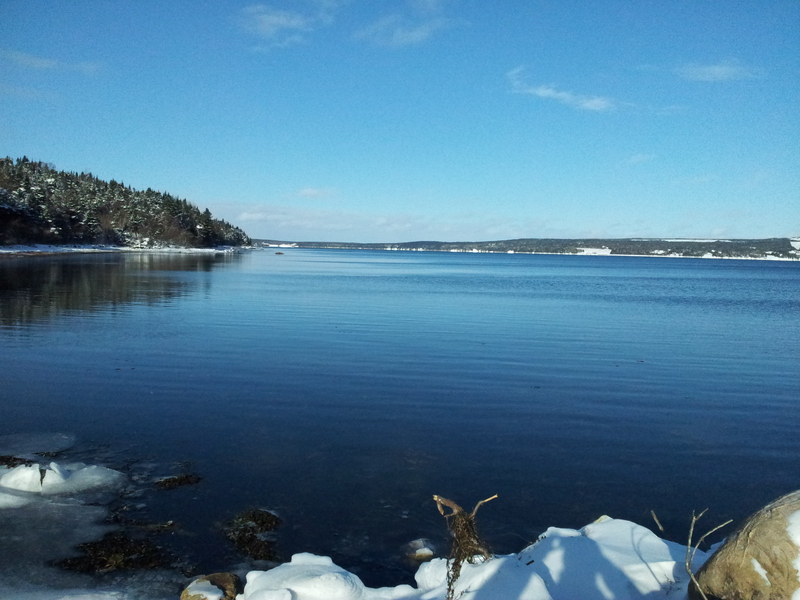 Adding another view from the Snook’s Harbour brickyard here, just because. Enjoy the view, and thanks Eric! Peter, maybe you can answer my question: when you go into Snook’s Harbour and go straight up the road instead of turning towards Apsey Brook, if you go off in the woods at the top of the hill there are 6 graves. They are marked with rough slate slabs – 2 large ones, 4 smaller ones, all in a row. Any idea who these are, or even if they are for people? Peter, i remember my Granfather Cooper pointed out to me the location of were a sawmill once stood just across the road from his land.Yes, there were many around at that time.